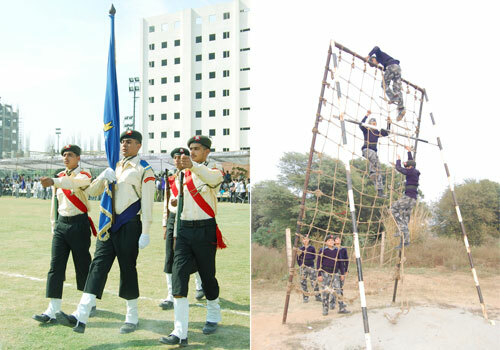 In accordance with the National Youth Policy which envisages that the youth of the country should spend at least one fifth of their total time spent in an educational institution on out door activities, our respected Founder President has directed that compulsory Military Training Camp for all students, both PG and UG of Amity institutions be conducted. 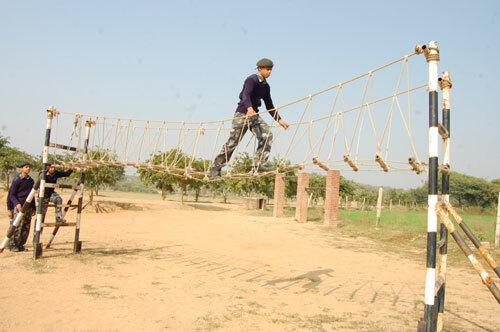 Accordingly, The Amity Indian Military Education Society has established a Camp in tented accommodation at the Amity Education Valley Manesar, to give the students an exposure to outdoor life in a natural habitat which fulfills some of the objectives enshrined in the National Youth Policy. The camp is called the “Amity Green Horns Military Training Camp”. General Instructions contained in the succeeding paragraphs are guidelines to be followed by the participants to enable them to draw maximum benefit and for smooth running of the camp. All participants are expected to read these instructions carefully prior to setting out for the Camp. To inculcate an essence of camaraderie and brotherhood amongst the students of different Amity Institutions. To bring in Synergy and Team Spirit among participants. To provide an opportunity to the participants to understand the work ethos and the broader details about the Armed Forces. 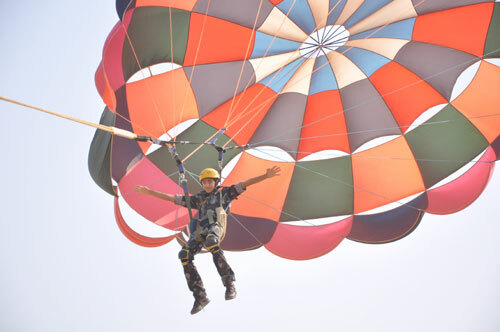 To provide facilities for adventure related training and sports activities in an eco – friendly and pollution free environment. To expose the students to subjects of general awareness such as disaster management, Nuclear, Biological, Chemical and Radiological Threat and counter measures etc. To inculcate the habit of participation in group activities and group discussions. To expose the students to the essentials of physical well-being and fitness. In order to minimize disturbance and break in the academic curriculum, MTCs are organized as combined camps for both boys and girls, and therefore it is expected that an entire class attends the camp together. Separate administrative infrastructure for boys and girls have been created at AEV Manesar. 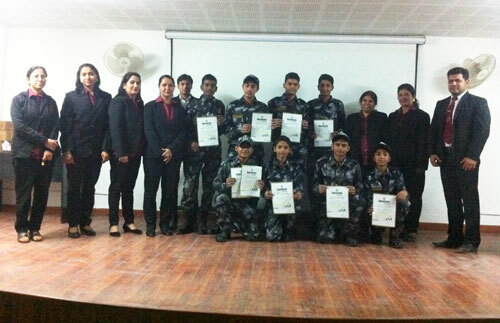 On completion of the camp, students will be awarded a Certificate of having attended the camp successfully. 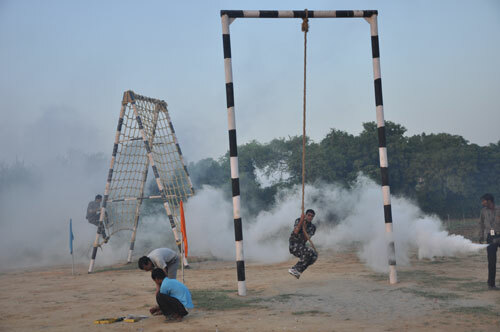 Military Training Camp is located at AEV Manesar. The camp has three distinct and separate enclosures for girls and boys. While the girls camp accommodates both PG and UG students, for boys, there are two adjoining but separate enclosures, one each for PG and UG students. The Camp is established under tentage. Each tent has the capacity to accommodate upto 8 students. Separate tents for the faculty members have been earmarked within the camp. Suitable washrooms are located in the respective camp enclosures. For faculty members, dedicated washrooms have been earmarked. II. Camp Administrative JCO - Subedar K S Shekhawat for girls camp and Sub & Hony. Capt BK Singh for boys camp. 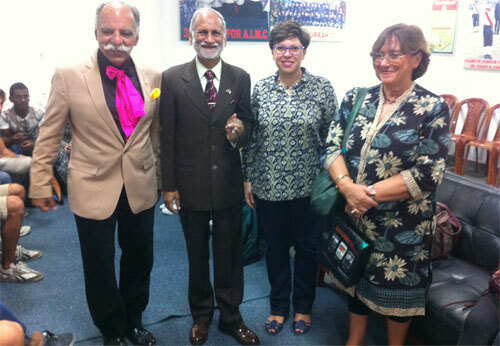 The Camp Commandant stays at AEV Manesar. He is responsible for the day to day conduct of the camp. All participants will ensure that the instructions and orders issued by him are fully adhered to. Queries and assistance if any, will be addressed to the Camp Commandant. 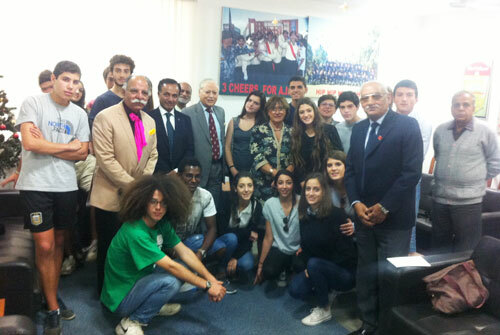 For PG Students, the Camp will be held for a duration of six days, including the day of arrival and departure. The camp usually commences on Sundays and concludes on Fridays. For UG students, the camp is of five days duration, commencing on Wednesdays and terminating on Sundays. Firm detailment on Military Training Camp will be intimated to the institutions concerned through letter/e-mail. On receipt of the same, the Institutions will nominate a ‘Faculty Member In Charge’ for the camp who will brief the students being detailed for Military Training, about the essential details of the camp, expected code of conduct and preparations for the Camp. 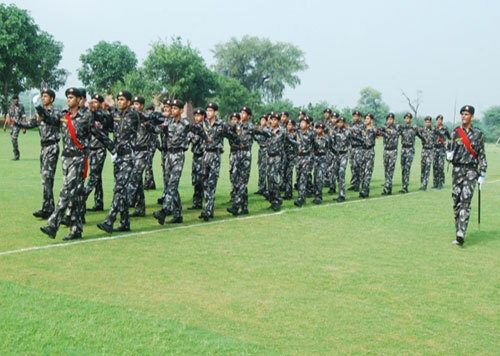 The institutions will submit nominal rolls of students attending the Camp in duplicate which must reach the office of the Director General, Amity Indian Military Education Society located in ‘D’ Block (Fourth Floor), Sector-125 Campus, Noida, at least 4 days prior to the date of commencement of the camp. Indemnity Bonds as per specimen attached, duly signed by each participant and their parents/guardians will be submitted along with the nominal roll of the students attending the camp (applicable to Non-AUUP institutions). Each institution will also nominate minimum one faculty member to accompany the students who would stay with them for the entire duration of the Camp. The faculty member will be responsible to ensure that their students are fully briefed on all aspects as enumerated in these general instructions. In case of any query / assistance the faculty member should contact the camp commandant. Children and family members of the faculty are not allowed on the camp. Students attending MTC as Open Elective (OABC), will be assessed on their performance on the course and will be awarded points on the scale of 1 to 10. Since, OABC courses are offered only in the first semester, the institutions must ensure that all students opting for MTC as Open Elective (OABC) are detailed to attend the camp in the First Semester itself. 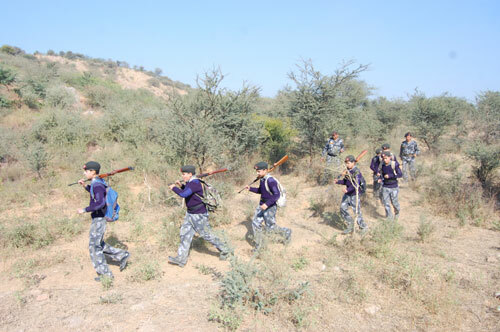 Students earmarked for Military Training accompanied by the nominated faculty member should arrive at Amity Education Valley under arrangements of the respective institutions by 11.00 am on the first day of the camp. On arrival, the students will be grouped into platoons and sections by the Camp Commandant. Participants are required to be present in the camp for all six days. However, on extreme medical grounds or other genuine/compassionate cases, a participant may be allowed to leave the camp for a maximum of one night. Any one missing the camp for more than one night, will be marked absent. Such candidates will NOT be eligible for the Certificate of having attended the camp. During the course of training, select students will be given appointments of Company Under Officer, Platoon Under Officer and Section Commanders for proper coordination and to develop qualities of leadership. All participants are expected to obey the orders and instructions issued by these appointments. For the duration of training, students will be addressed as Cadets.